The Lounge area seats 7 people comfortably and includes the Large side sofa, Swivel front passenger seat and Double Dinette seating. The forward facing seat has an additional 2 Three Point Seatbelts, giving 4 in total. The dining Table is removable and stores in the wardrobe. You can easily convert the dining and seating area into either a Double and a Large Double Bed, or into a Huge Kingsize bed. We have an Additional Double Bed over the Cab. 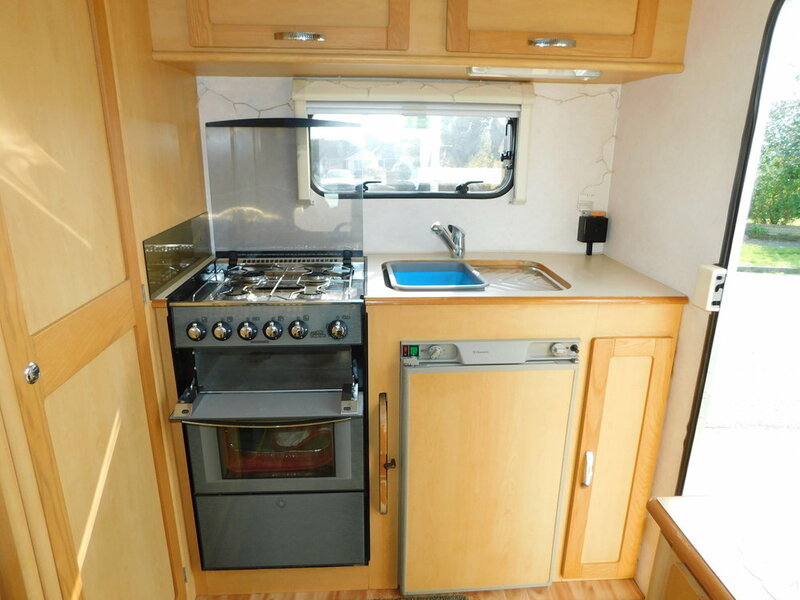 The Kitchen is Spacious with plenty of worktops, cupbords and concealed pull out drawers and includes a Full Size Oven, Grill and 4 Burner Gas Hob as well as a Sink with a drainer. The Washroom has a Toilet with a thetford cassette, as well as a Shower, and a Washbasin. We have Heating and Hot Water as well as Double Glazing all round with built in Privacy blinds and fly screens. The Habitation entrance door has a built in pull out step to ease entry. 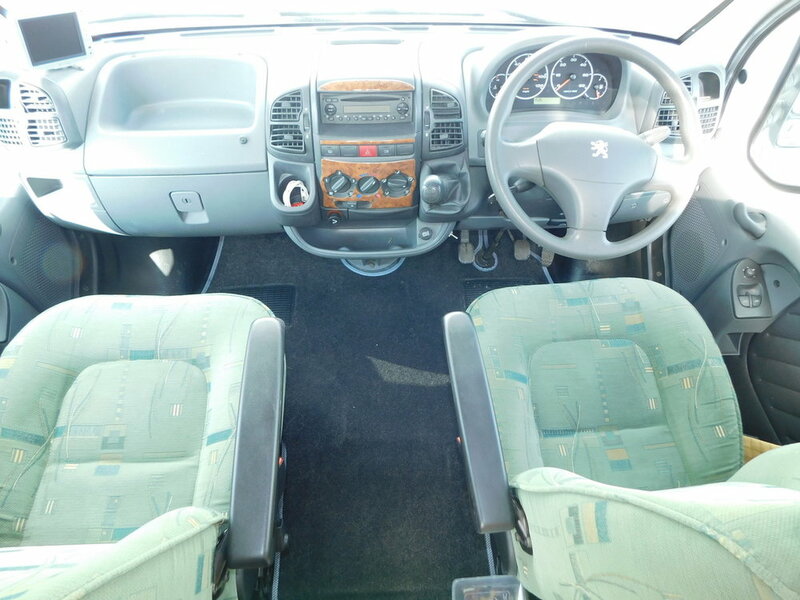 The Cab has Electric windows and door mirrors, a Radio CD, central locking as well as a dash mounted Colour Reversing monitor and Cruise control. We have a TV with built in Dvd player in the Lounge as well as a roof mounted Status TV Aerial. On the Outside a Bike Rack is fitted, and there is also a Tow Bar and a good size Roll out Fiamma Awning Canopy. Compact dimensions at around 6m long, so easy to park and drive, and can be driven by Drivers of all ages as the plated weight is 3400 kgs. Please note that the current mileage could increase as the owners may still use the motorhome until it is sold. I would be happy to consider any Part Exchange, whatever the age.